Introducing Team Beachbody: Give Me 12 Minutes! And just what did I do in LA? Join me next year in VEGAS! Finally got that work out going. 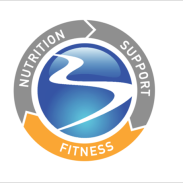 You are committed to a Beachbody program, or walking, or running, or hitting the gym. As little as 10 minutes a day. Only, the results you desperately crave just don't seem to be coming. You want to say, "WT-", but you don't like to curse. Nutrition. Are you tracking what you eat? There is absolutely no way to get around the fact that calories in and calories out does make a difference. And it takes burning 3500 of those calories to lose a pound. So, do you know what you are eating? Why not add ONE steady meal to your day? You know what I'm going to suggest? Why? Because I believe in it. I don't eat "diet" food with artificial everything. I want whole foods. 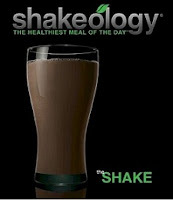 Shakeology provides me this, along with vitamins and minerals, pro-biotics, yada, yada. I can talk 'till I'm blue in the face. Do the research at www.shakewithjo.com. This isn't a magic potion. It's a balanced potion. Take Before/After shots. Measure yourself. Commit to 30 days of exercise 3-5 days a week. Commit to one Shakeology a day. On Day 30, share your results. Don't dig the shake? Return the empty bag for a full refund. But keep your results! For your reference. 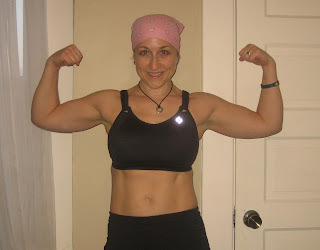 Try these blog posts: Kellie's Success Story, and Pay Less for Shakeology. SHAKEOLOGY SUCCESS STORY: Kellie B. You are sick of hearing from me. How about hearing from Coach Kellie? Here is HER Shakeology testimony. 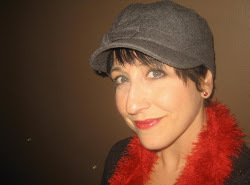 After reading this, if you feel compelled to give it a go, I'll have a free gift for you! Two is my magic number right now. I know it's been a while since I've written on here, but it's because I've been busy focusing on being the best me that I can me. That seems to be a full time job! Since I started shakeolgy in December and since I've been eating better and exercising, I've lost 20 pounds. And, the best results are that I am down 2 pant sizes and 2 shirt sizes. That makes my new lucky number 2! I feel so much better about myself and not becuase of looks, but becuase I have more energy and just generally feel better. I don't have that afternoon sluggish time, unless I fall off the wagon and have a carb-fest for lunch! I have been spending a lot of time talking about the benefits of shakeolgy and how it can help everyone feel better. 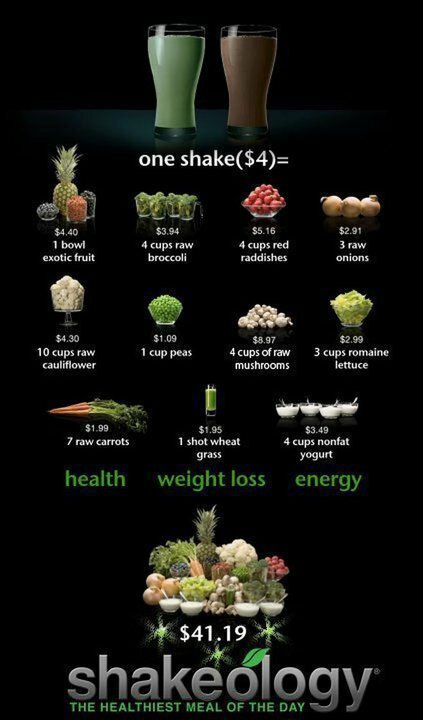 You don't have to do shakeology (although I think everyone should!). You don't have to take shots or pills. you don't have to starve yourself or go all carbs or all protein. All you have to do is eat healthy and exercise. Trust me, it's working for me. I have a long way to go to get to my goal, but I'm satisfied with my progress so far and intend to keep it up. I plan on going down 2 more pant and 2 more shirt sizes. Hey, if two by two was good enough for God and Noah in the ark, it's good enough for me! Galloway, P90X, and 3.1 Miles Walk Into a Bar . . . This has been a cold, rainy spring. Usually, when spring arrives, it heralds in my running season. I'm fair-weathered runner. My last run was back in October. I don't even think about running again until the sun is out and the temps increase. Not this year. The sun is lost. Temperatures have been chilly. We had a fluke of a beautiful day back in March. I ran that day - but seeing as I was in the middle of P90X at the time, my muscles were way fatigued. It was ok, but not the greatest. Today, we had a rainless day. Cloudy, yes. But for about an hour, the sun peeked through. Zane was at a friend's house, so I quickly dressed and made the most of the opportunity. It has been just over a month since I finished P90X. I have been doing extra cardio during the week since completing the program, and mixing it up with weight training. I have been consistent with exercising at least 5 days week. It's been that way for over year now. I was curious, though, how my running would fair, seeing as I've not touched the pavement with my Sauconys since that last race. Would P90X and Turbo Jam prove to help my pace and comfort while running 3 miles? It has been 7 months since my last run. I. Felt. Great. I was just under a 10 minute mile, which is fantastic for me. Because I've been consistently working out since my half-marathon. Building strength, getting lean, upping the cardio. Cross-training. It is so nice not to have to start from scratch. Not sure I'll be doing a ton of runs this summer. I've kind of met my goal. 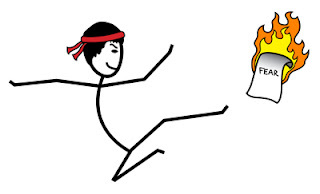 I am going to try an adventure race for a change of pace (ba-dum-chh) and see if I get hooked. My sites are set on July 16th. Ruckus Pittsburgh. Here I come. ANOTHER success story with ChaLEAN Extreme. Feeling down and depressed all the time, I knew it was time for a change. My awesome coach Joline (I DIDN'T TELL HER TO SAY THAT) introduced me to this amazing program called ChaLEAN Extreme. Next came Shakeology, the meal or snack that I look most forward to everyday. I also made the decision to become a Team Beachbody Coach. Not only has this kept me more motivated and accountable then I have ever been, but I am also making money doing it. Hello. That’s a win, win. My other huge motivation is my almost 2 year old son. He loves to workout with mommy and tries to drink all of my shakeology. It has really given me peace of mind that I am teaching him to be healthy now so that he does not have the weight struggles that I have had all my life. 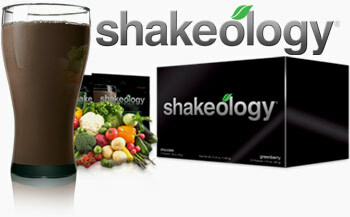 So far on my journey I have lost 13.3 Lbs and 15.25 inches with 90 days of ChaLEAN Extreme and Shakeology. Not only have I gone through a physical transformation, but more importantly, an emotional and mental transformation. My journey definitely does not end there. In fact, I am just getting started. Today I began my next challenge a hybrid workout with ChaLEAN Extreme and TurboFire. I cant wait to see what the next 90 days brings me. You've heard my story. I can't seem to shut-up about it. Guess what? We're not the only happy customers. Mom of three. Wife. Doctor. Busy. Like you. Lynette has been following my Beachbody story for quite some time now. Only three months ago she took the leap herself with some Turbo Jam. As a former dancer, she had a pre-requisite that the program be fun. And have terrific music. Shakeology came next. Even doctors struggle to eat healthy. It's true. Shakeology provides Lynette with 17 grams of protein, 140 calories, and over 70 healthy ingredients. Just what our good doc needs to be eating in between seeing patients. Enough from me. Here's Lynette. Way to go, my friend! To think that just three short months ago I was unhappy with my body and feeling lost in all of the stresses of day to day life. It feels great to be back in charge! Life is still stressful, but now I feel better equipped to handle it. It's a simple statement, but not always a simple task. Alica, a wonderful friend who began her Beachbody journey as a Coach in order to insure that she be held accountable to "doing the work", recently won my 90 Day Challenge by conquering ChaLEAN Extreme. Assisting her was a hearty glass of Shakeology everyday. As a prize, Alicia won a weight loss of 10 lbs and an incredible loss of inches and body fat. She also won a Turbo Jam "Fat Burning Express" to encourage her to keep going. She's a busy woman. 3 kids. 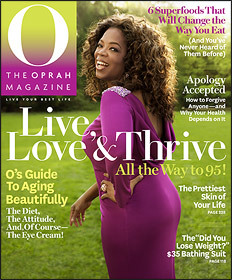 One of which would sit on her back while she did push-ups every once in a while. I have a photo to prove it. She works outside the home. She had every excuse not to do the work and to excuse herself from attempting to get back into shape. The same excuses we all have. Only she didn't cave to their pressure. You know these products. I've raved about them enough and don't need to further explain them to you. How about hearing directly from her? I can't add to her testimony, so I'll end here with her words - hoping that YOU can envision YOURSELF making the same claim in the next few months. Do the work. It's worth it. I need to tell you a huge thanks! It is hard to believe that just a few month ago I was in such a different place physically. I started out of near desperation. I had no idea what I needed, but you did. I loved ChaLEAN. I needed her cheerleading, I needed the strength, the diet change, and the support you gave. I didn't begin and honestly didn't go through this with winning a contest in mind. It was a happy accident. I won the most challenging contest-getting my booty moving! Thank you for helping me change my life! Until April 30th, order Shakeology on Home Direct (with 30-day money back guarantee) and receive a COMPLIMENTARY workout DVD. (Several varieties from which to choose!) GET ON IT! Why order from a Team Beachbody Coach? 1. HALF-PRICE SHIPPING. That's right. Purchase that program from my site, www.teambeachbody.com/fitwithjo and PAY LESS in shipping. 2. FREE DVDS. Each Beachbody Program comes with free workout DVDS when they are purchased directly from a Coach. 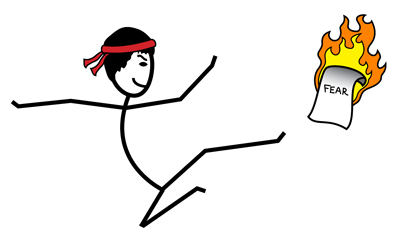 Extras like Turbofire Greatest HIIT Workouts, or Tony's Fountain of Youth Yoga. Each program has an "extra" waiting for you when you grab your next challenge directly from me at www.teambeachbody.com/fitwithjo. 3. SUPPORT YOUR HARD-WORKING COACH. I work hard. In the gym and out. If you are anything like me, you support businesses that give you the best service. I shop at Castle Toys and Games for the quality of the merchandise, the incredibly personal customer service I receive, and because I support local small business owners. Sure, my business is connected to a larger overall company, but get right down the nitty gritty and you are supporting moi. Thank you for shopping with me at www.teambeachbody.com. WATCH and raise money for Raincatcher!!!! 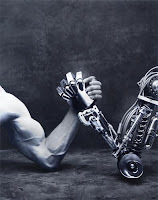 "You're a machine" was an email I received from a colleague yesterday. And no, it wasn't from a fellow Beachbody Coach. Those who know me personally, and have a true window into my life, are aware that I don't race through the day at a frenetic pace as I once did. Where once there was no overall purpose or intention fueling my professional desires, or even my personal "goals", I have since done a major redesign in how I enter and execute the day God has given me. And now, my day, which to others may seem crazy, frenetic, and chaotic, because of what I'm actually able to accomplish on a daily basis, is actually just the opposite. Starting with my first action of the day, creating a daily to-do list, my day involves a meticulously thought out plan as to what I must attend to daily, when I will do so, and what tools I will use to be successful in that process. I thought it might be interesting for you to be a fly on the wall of my morning - where it all begins. 1. Wake. I'm still struggling with waking early. Coffee. 2. Get kids off to school. Once they depart, the fun begins. 3. Craft my daily to-do list. Identify the "frog" - the item I LEAST desire to complete. Today, that is filling out a form to pay my local taxes - which I only recently learned I had to do. The actual federal and state taxes were done weeks ago. 4. Daily Devotions. Currently, I am reading "100 Days of Blessing" by Nancy Campbell and am both encouraged and deeply challenged by her daily readings. 7. Social Media Updates. Update Fit With Jo on FB, post video if feeling led, do a little social medial training - this is ALL related to business. 8. Workout. By now, you know I'm sold on THESE products. Beachbody all the way, baby! That's my morning from 6:45 to about 9:30. Now, I realize many of you are all, "Well, I have a job, I can't do that!" Of course you can't. This is MY schedule. I would challenge you on a few of the items, however. Waking? Check. Have kids? Get them off to school. To-Do list? Do it the night before. Daily Devotions/Prayer? Read before the kids get up. Correspondence and Social Media jazz - well that's my "office", so just as you are at work say at 8:30 or 9, so am I. My day continues with phone appointments, contacting customers, blogging, housework, writing new pieces to clinch that next writing gig, prepping dinner, yada, yada, yada. My day continues with actions and activities that directly reflect my personal priorities of FAITH, FAMILY, and MOTIVATING/ENCOURAGING MYSELF AND OTHERS TO EMBRACE A HEALTHIER LIFESTYLE (body, mind, and soul). I don't float through the day. My steps are very calculated to directly feed my priorities. Therefore, these "first fruits" that I conquer every morning are NON-NEGOTIABLE. These 8 must happen first. If they don't, they get bumped later and later into the day. Which is a shame, for they are my FUEL. When I miss one of these "stops" in the morning, my day is rocky and much more difficult to navigate. It's really a matter of crafting a schedule built on YOUR priorities and to cease making excuses because your day is too full of "this" or "that". I choose to start with the 8 steps listed above. Things will shift in a few weeks . . . and I'll need to adapt. I start rehearsal for a Lost in Yonkers. Myself and five friends from around the country will be launching a new online venture - a dream I've had for over a year - hush, can't say anything more just yet. Do I feel scattered? No. Overwhelmed? Sure, sometimes. But when I am, I return to my priority list and see if my actions actually line up with them. If not? Major purge. 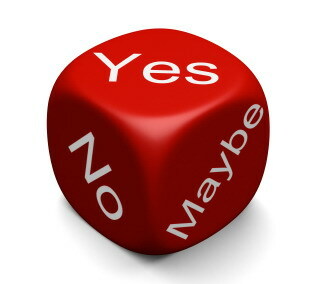 Time to say "no". Within those priorities are housed my goals for the year - which I won't share with you here, for many of us fall into the trap of "goal-envy". You need to discover your own. Out of those goals I have a two PUSH Goals - which, going full-circle, directly feed my priorities. So, am I a machine? Maybe! But my machine is crankin' out what is needs in order to focus on my priorities in life. Do your daily tasks actually feed your personal priorities? Start with identifying PRIORITIES, then setting GOALS (do they match the priorities), and only then, choose 1 or 2 overall GOALS on which to attack that will help you reach all your smaller goals (again, they need to align with your priorities). Thanks to Chalene Johnson for mentoring me on how to start my day! How did I NOT celebrate this accomplishment last Friday? Ok, so I did two. And not two in a row. I did one unassisted. Then used the chair. Then, during another set, I did one. Unassisted. Continued on with the chair assist. REMEMBER WHEN I THOUGHT IT HAD BEATEN ME? I reached a point of FIRE and DETERMINATION on Friday. I KNEW I would pull myself up - all of myself - by myself. P90X ends officially on April 2. I'm learning where I'm strongest physically. And it ain't at the bar. At least not during this round of P90X. Holy moly, folks, the improvements that I've made on these muscles in just shy of 90 days are pretty incredible. And I've been tracking my progress, so I'm not just pulling numbers out of the sky. Today, I, as Tony would put it, "Brought it." Big time. I pushed through each rep, even adding another when I didn't think I could - with visions of P90X Recovery Formula dancing in my head. No kidding. I love that stuff. I did not slack ONCE. And then, on Ab Ripper X, for the first time ever, I was able to complete the entire 15 minutes without stopping. I made contact a few times on the Oblique V-ups, and completed all Mason Twists (49) with legs raised. Just as with ChaLEAN Extreme when it took me almost a full 90 days to complete Burn Intervals without stopping, I can now say that I've reached the place with P90X where I can get through Ab Ripper X without pausing. There was NOTHING easy about the last 11 weeks. NOTHING. I have yelled at the TV, eaten carpet, bonked (due to poor nutrition), cursed the chin-up bar (yes, I have), and wondered if I would really get through 90 days. I essentially have one more week and then a week of Recovery. And then, my friends, I am a P90X grad. When I meet Mr. Horton in June, I can proudly say, "Sir, you told me to bring it. And I did." Turbo Jam will be a nice respite from the heavy lifting, and a chance to really focus on cardio and core. After that, who knows what will be next. But, you know me. I'll plan it out. It's a household name for those of us in the Beachbody biz. I was first introduced to Chalene Johnson via ChaLEAN Extreme. For long time readers, you know that it rocked my world. In a good way. I moved to Turbo Fire. I completely skipped Turbo Jam! Where have I been? Under a rock? So, immediately following P90X, through which I am experiencing a slow down of weight loss and inches lost, but an increase in strength and muscle definition, I will be focusing on fat-burning cardio and working my core with Turbo Jam. For the record, weight loss was NOT my goal for P90X. 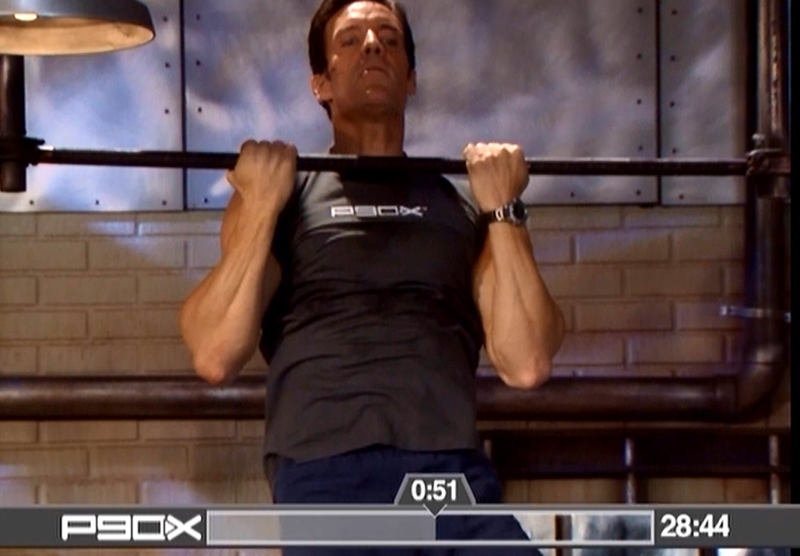 I chose P90X because it is the golden child of Beachbody and there was no way I was going to attend the Coach Summit in June having not done the program. It has always looked too difficult. Intimidating. Well, in three weeks, I will be a graduate. So there. Turbo Jam is VERY WELL PRICED. And, along with 5 workouts and a great nutritional guide, you also get 2 bonus workouts and Sculpting gloves which I have even used during my Kenpo workouts with P90X. I'd love for you to join me for April, May, and June. I will also be returning to running when the weather cooperates (I'm a fair-weathered runner). So, for me, the plan is Turbo Jam AND running. You can still join my Mountain Challenge if you would like, using Turbo Jam and Shakeology. I'll also start a Facebook Group Page for accountability. Stop trying to figure out plan for yourself. You are going to make your head spin. Beachbody programs do all the thinking for you. Just follow the plan by pressing "play". Let me give you this assignment, and as you once remember from school days - a due date. The assignment is Turbo Jam. The due date is June 15 (2 and a half months of cardio and core). You would never dream of blowing off an assignment by not completing it. I know you. You're the responsible type. Your "school" project is due in June. So get going. You can find out about Turbo Jam on my Team Beachbody site. Just click the Turbo Jam box to your right to read up on this awesome program. The first week of April is right around the corner, and while that will technically be my Recovery Week for P90X, I'm going to start Turbo'ing that week. Whose ready to jam with me? I've shared with many of you that I have experienced more benefits than merely physical ones since beginning my journey last April. The physical benefits are obvious. There's no doubt that weight loss, decrease in inches, loss of fat, and a generally more sculpted physique are definite perks to intentional, consistent exercise. But there's more. More that you can't see. Well, you can . . . and yet, you can't. For example, there's this one benefit that is all in my head. At least, it STARTS in my head, where you can't see it. Over time, however, this benefit has moved to my FEET and been transformed into ACTIONS you can see. In a nutshell, exercise had developed a "go get it" attitude that has manifest itself in many crazy ways in my life. There is something about P90X specifically that builds an internal determination to keep going, push harder, and finish strong. Today, for example, during a workout that I DIDN'T WANT TO DO (yep, that even happens to me), I realized that I have a switch in my head that now gets automatically flipped when I'm about to throw in the towel. The switch turns on a laser-guided determination to forge ahead. To do one more rep. To improve my statistics from the prior week. I am more clear headed and internally focused than I have been in years. P90X has rewired my brain. There is a renewed fire within me that's been missing since my mid-30's. And to think, all I wanted was a flat belly and to wear a bikini once again. Now, my brain is looking mighty darn hot also. 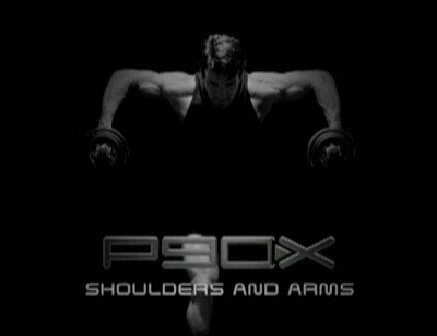 P90X: brain surgery for the SOUL.